LAHORE: The Alhamra Arts Council has paid a magnificent tribute to the legendary artist Madam Noor Jehan, stated a press release. The evening was held in remembrance of the late star, who was also given the honourable title of Malika-e-Tarannum, the Queen of Melody. Noor Jahan contributed immensely to the showbiz industry; not only as a playback singer but as an actor too. She was one of the most influential singers of South Asia during her time. During the event, the executive director of Alhamra Arts Council, Ather Ali Khan explained his vision towards cultural activities for the revival of quality entertainment at Alhamra. He stated that civilised nations always tend to remember their national heroes. They also promote cultural activities within the country to enhance socio-cultural values. Khan called this tributary night the first step towards remembering Pakistan’s national icons in 2019. He also stated that they are hoping to be able to provide quality entertainment free of charge for the people of Lahore. 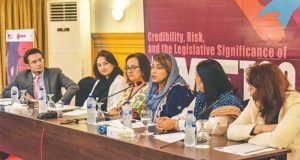 “Our aim for organizing today’s event was to celebrate the legacy of Madam Noor Jehan at Alhamra Arts Council,” said the director. 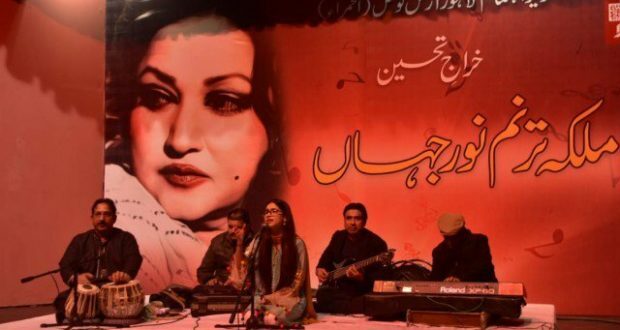 The evening saw renowned singers like Tarannum Naz, Sehar Minhas, Zoha Waseem, Amaan Ali, Nirsha and Samia Meraj singing superhit songs of Madam Noor Jehan. These sogs included Jay Main Hundi Dholna Sone Di Taveetri, Sanu Nair Wale Pul Tay Bula Ke and Main Tery Sung Kaisay Chaloon Sajna. Naz’s performances, in particular, were met with immense applause.